Skeleton competitors ride a small lightweight sled head first down an ice course while lying flat on their stomachs. The sport was once considered too dangerous for the Olympics. Two gold medals are on offer, for men’s and women’s singles. Unlike the luge, there are no doubles or team events. 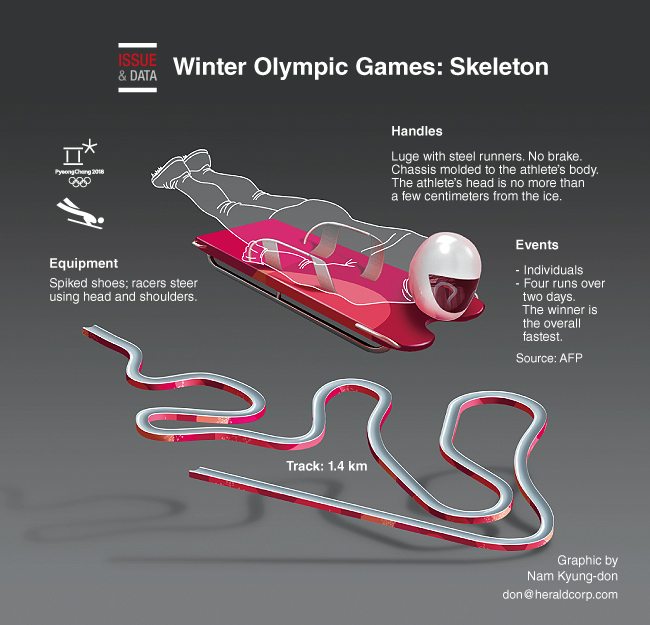 Skeleton was reintroduced to the Olympic program for the Salt Lake City Games in 2002, with a woman’s event added. Sliders speed down ice tracks 1,200 to 1,500 meters long.